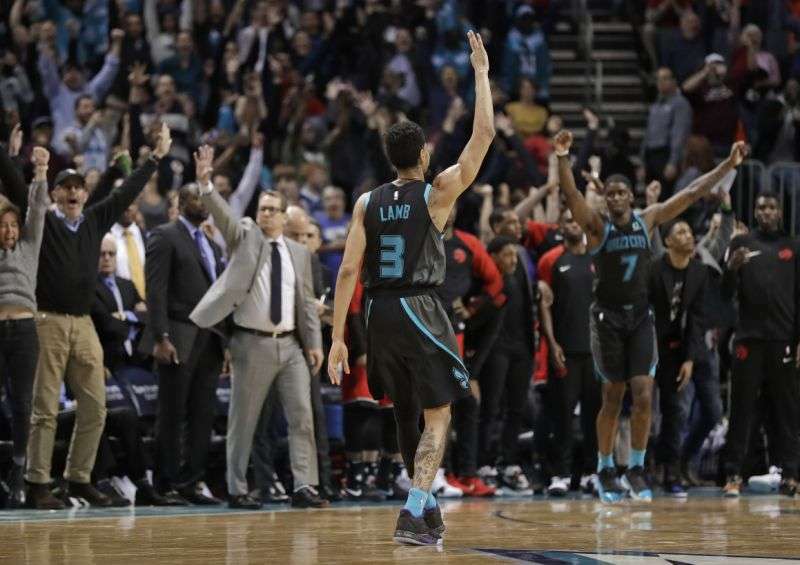 After Jeremy Lamb sank a three-pointer with 3.3 seconds remaining in the 4th quarter to give the Hornets a 113-111 lead, Kawhi Leonard’s shot attempt to tie the game became wedged between the rim and the backboard, forcing a jumpball with 0.8 seconds remaining. On the jumpball, time expired and the Hornets defeated the Raptors by a final score of 113-111. Kemba Walker led the Hornets with 29 points (11-18 FG), to go with 6 rebounds and 8 assists in the victory, while Kawhi Leonard led the Raptors with 29 points (12-18 FG), 6 rebounds and 4 assists in the losing effort. With the win, the Hornets improve to 37-42, while the Raptors fall to 56-24 on the season. The Raptors currently hold the 2-seed in the Eastern Conference, 3.5 games behind the first-place Bucks, while the Hornets currently sit in 10th place, 2.0 games behind the 8-seed Nets.